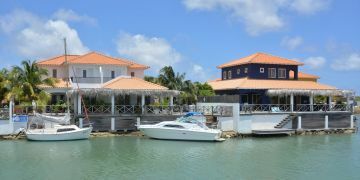 This waterfront freestanding villa has its private docking pier for a small boat. 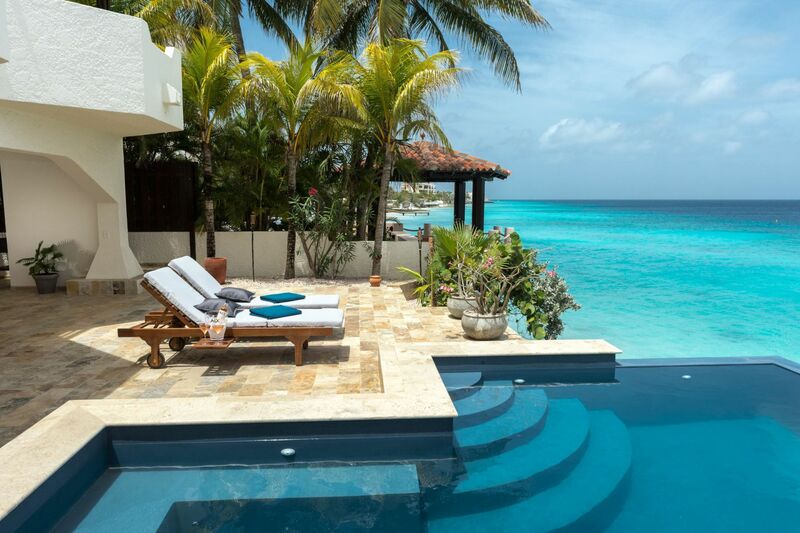 The water in front of this villa is connected with the Caribbean Sea via the marina near Plaza Resort Bonaire. From the villa, the two covered upper/lower terraces, you look out over the water. A great place to sit back and relax. 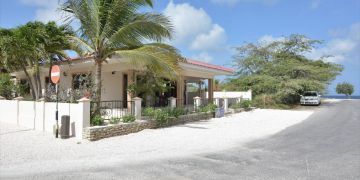 Because of its location, it’s catching a great breeze so you can cool down both in- and outside at this modern villa. Via walk-in and drive-in gate to covered entrance, hall with access to separate shower & toilet, living room (sliding doors to covered waterside porch with pier), open kitchen design with built-in aplliances, pantry/laundry room, bedroom at front side of the villa, stairwell to upper floorlevel. Second floor; landing with access to two bedrooms with two bathrooms. Waterside bedroom has a spacious covered porch, additional storage under the roof. air conditioning lines prepared for installation in livingroom. Registered at the Land Registry Office Kadaster, number 4-G-3478. This villa is subject to a Home Owners Association (HOA). Please contact us in case you wish to receive further information about this HOA.